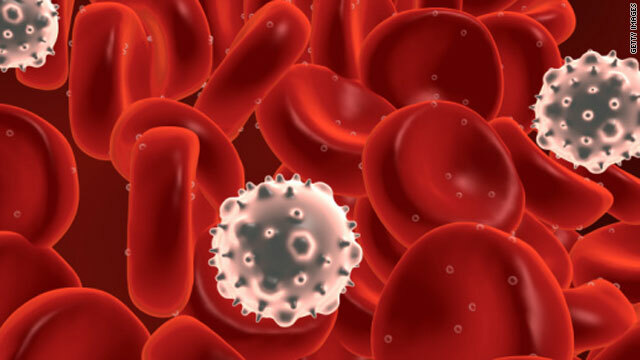 Provenge makes use of the patient's own white blood cells to attack cancer. (CNN) -- A vaccine treatment for prostate cancer has become the first therapy of its kind to win approval for use in U.S. patients. The treatment is intended only for men with so-called "metastatic castration-resistant" prostate cancer, for whom hormone suppressant therapy has not worked. Studies have shown that Provenge prolongs survival by about four to 4.5 months. But the real breakthrough is the approval of this new way of treating disease, which could be used for other cancers and conditions, such as HIV, Bhardwaj said. It is unclear whether insurance companies will cover the cost of Provenge and it may be prohibitively expensive for some, Bhardwaj said. Dendreon says it will be priced similarly to other new biologics that prolong survival. Investment firm J.P. Morgan estimates a full course of Provenge will cost $65,000; estimates by other investors put it between $50,000 and $100,000, according to J.P. Morgan. Cancer drugs Avastin and Erbitux, also based on new concepts in treating different kinds of cancer, cost up to $100,000 per year. "In this whole scheme of things, [Provenge is] costly, but not unheard of," Bhardwaj said. Provenge is the first cancer treatment vaccine that the FDA has approved. Although Provenge is considered a vaccine, it is a treatment for patients who already have prostate cancer, rather than a preventive measure, said Dr. David Penson, assistant professor of urologic surgery at Vanderbilt University, who was an investigator in a Provenge clinical study and has presented the research, but has no financial ties to the company. This is a significant improvement in survival, and is more significant in that it is a new way of treating prostate cancer. The Provenge process involves taking out some of the patient's white blood cells and sending them to a facility where they are activated with Provenge. The infusion is sent back, and a physician delivers it to the patient intravenously. A complete course of therapy takes three cycles in one month. A phase 3 clinical trial called IMPACT, involving 512 men with castration-resistant prostate cancer, found that Provenge reduced the risk of death by 22.5 percent compared with a placebo. The IMPACT study also found that the treatment extended the lives of patients by an average of 4.1 months; a separate trial with 225 men found an average life extension of 4.5 months. Clinical trials also found that 33 percent of patients with advanced disease remained alive three years after treatment with Provenge. Brawley and Logothetis said they will prescribe the therapy for patients who fit the criteria. Because the treatment makes use of the patient's own cells, it does not cause the severe side effects seen in chemotherapy, Penson said. The main side effects seen for Provenge were flu-like symptoms, such as chills and fever, lasting one to two days. Docetaxel, a chemotherapy drug that is the only available alternative for these patients, is toxic to the body, and can lead to infection, muscle and bone pain, and hair loss, he said. Potentially, Provenge could one day be used in combination with chemotherapy, Penson said. Right now it is prostate-cancer specific, but the principle behind it may be applicable to other cancers, he said. The treatment has had an long journey on the way to approval. An FDA advisory panel reviewed Provenge in 2007 and voted in favor of it, but the agency declined to approve it, requesting more data. Logothetis also recommended additional research at that time. Concerns surrounded the drug because although the initial studies showed a survival benefit, they did not demonstrate a delayed progression of cancer, Logothetis said. Usually, both of these benefits are seen in proven cancer therapies. "Since the traditional measures of efficacy are not seen in these studies, it has created initial skepticism," Logothetis said. But given the survival benefit found in the later results, there is now little doubt that the treatment works, he said. The question is why it works without delaying tumor progression. The results could mean that the drug resists negative effects of cancer rather than cancer growth, he said. Alternatively, the slowing of the tumor's growth may be too small to measure with available tools. It is also possible that the mechanism is entirely different, changing the tumor in some way that scientists do not yet understand. Other promising research may have been stifled for similar reasons, Logothetis said. "You can assume that many trials that would have been beneficial were stopped early because there was no effect on progression on the tumor," Logothetis said. One concern now is capacity, because Dendreon's facilities initially won't be able to handle the demand, Logothetis said. The company intends to make Provenge available through about 50 centers, all of which were approved clinical trial sites, and plans to expand its existing manufacturing facility in New Jersey, said Dendreon spokeswoman Katherine Stueland. The expansion should be done by early 2011, and the company is also building facilities in Los Angeles, California, and Atlanta, Georgia, which should be complete in mid-2011, she said.